Q: You’ve recently announced ANX2403, the industry’s lowest power Full HD embedded DisplayPort TCON; could you tell us something more? A: Indeed, the ANX2403 is the industry’s lowest power Full HD embedded DisplayPort™ 1.4 (eDP) timing controller with panel self-refresh (PSR), in-cell finger and active stylus touch for notebook PCs with graphics display resolution up to 1920×1280. Plus, it’s VESA DisplayHDR™ 400-certified. What are the main benefits of ANX2403? How is it unique? · Lowest power – ANX2403 is the world’s lowest power notebook TCON in its category. Analogix has mastered the low-power 28nm process technology, enabling the ANX2403 to perform over 30% better than the closest competitor. HDR accurately maps real world color and luminance to a limited display panel (Fig. 3). VESA’s DisplayHDR™ standard specifies HDR quality, including luminance, color gamut, and color depth. 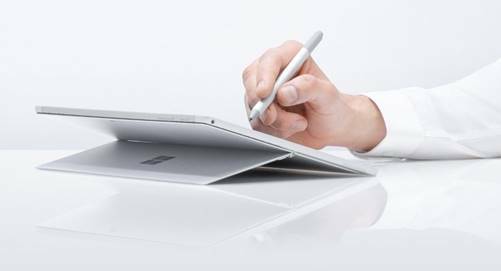 · · The only TCON with in-cell finger and active stylus touch for notebook PCs (Fig. 4) . In-Cell Touch embeds the touch function in the display itself, the panel including all the touch sensors, controllers, and needed processing. This simplifies the production process and reduces weight and reflection by removing the cover glass. The display will have better image performance, higher transparency, less reflection and thinner bezels. Q: How did you manage to reduce the Full HD 60Hz power consumption? Tell us more about the technology. A: Leveraging our technology leadership in low-power processes, the ANX2403 reduces the Full HD 60Hz power consumption to 60mW using 28nm process technology, a 35% reduction over the 40nm technology and more than 50% reduction over the 55nm technology, for the lowest power TCON in the industry. PSR (Panel Self Refresh) reduces overall system power by refreshing the panel from TCON memory instead of relying on the system GPU to resend static images 60 times a second. PSR2 allows the system to stay in this power saving mode even if part of this image is still moving (like a ticking clock or a small video window). During PSR and PSR2, the ANX2403’s unique memory structure allows it to actually run with less power than in normal mode. The ANX2403 also supports several other power saving features, like lowered refresh rates (Intel LRR) and data burst modes to the source driver. Q: What does the future hold? Where is the company headed? A: Our low-power, high-speed timing controller technology drives today’s high-resolution, thin display panels found in popular gaming monitors, notebooks, and tablets with eDP and MIPI interfaces. High-performance gaming monitors take advantage of TCON features such as 144Hz UHD refresh rate, Nvidia G-SYNC, AMD FreeSync, and LCD Overdrive. Our TCONs used in notebook displays bring features such as PSR, PSR2, Intel low refresh rate (LRR), 28nm process technology, and “always on local dimming” (AOLD). Analogix will continue to innovate in display panel technology bringing new features to the table. Today, we already see many notebooks, as well as all convertibles and tablets, support finger and stylus touch for the PC. Analogix believes that, like the mobile phone industry before it, notebooks are in the process of converting these designs to In-Cell Touch. To support touch, notebooks today have a layer of touch sensors attached to the display panel. In-cell touch has the sensors embedded into the display glass itself. This simplifies the supply chain and reduces cost by printing the touch sensors (along with the usual display structures) directly on the glass, instead of outsourcing an extra step with third parties. Since there’s no extra touch layer to add, in-cell touch panels are thinner, lighter, and clearer than traditional touch panels. They also offer less reflection and higher reliability. Analogix is adding support for in-cell touch, both finger and pen, across all our TCONs, even the ones for monitors and other large display.